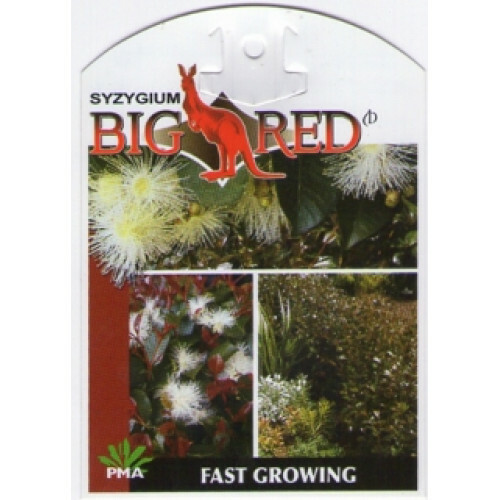 Syzygium Big Red is An outstanding new medium growing Lilly pilly with large, glossy leaves highly recommended by online plants. New growth is one of the darkest crimson foliage available. White flowers borne over summer are followed by edible berries attracting native birds. Hardy, frost and dry tolerant. Responds well to shaping. 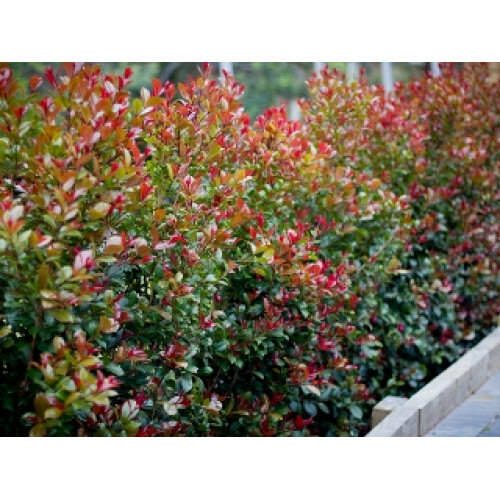 Can be used as topiary standards, widely used as an excellent screening form of Lilly Pilly. Grows to 3-4mt tall if left un-pruned, however, they can be trimmed as low as a meter for a dense, low screen. Will benefit from feeding twice per year with a complete plant food and liquid fertilizer. For further inquiries please use our free garden design service or email: store@onlineplants.com.au Available for fast delivery to your door in all Melbourne, Sydney, Adelaide, Canberra, and Brisbane, metropolitan and regional areas.